Our tutors are able to accommodate any particular order or focus on a particular module you need help with (e.g. for an assignment or upcoming exam). 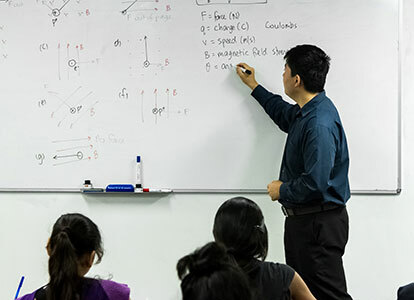 Success in HSC sciences like Physics is dependent not only on excellent theoretical / content knowledge, but also on what constitutes effective exam technique. Our tutors are able to give sound advice on how to structure exam responses, how to satisfy marking criteria, what to include in a response for any type of exam question, and give tips for every other situation. Book a Private Tutor to help achieve your goals! Dux Private Tutoring offers the best in-home private tutoring for years 7 to 12 in Sydney and all over NSW. We bring Dux College's years of knowledge and experience in bringing students HSC success with the convenience and focused attention of one-on-one home tutoring.